This 45 room boutique hotel is on East Bay Street in downtown Charleston. The hotel includes 30 valet parking spaces utilizing an automated lift system. The project includes a ground floor lobby with bar and support spaces and drive through guest drop-off area. This site is very constrained with streets on three sides of the building making the site unique. 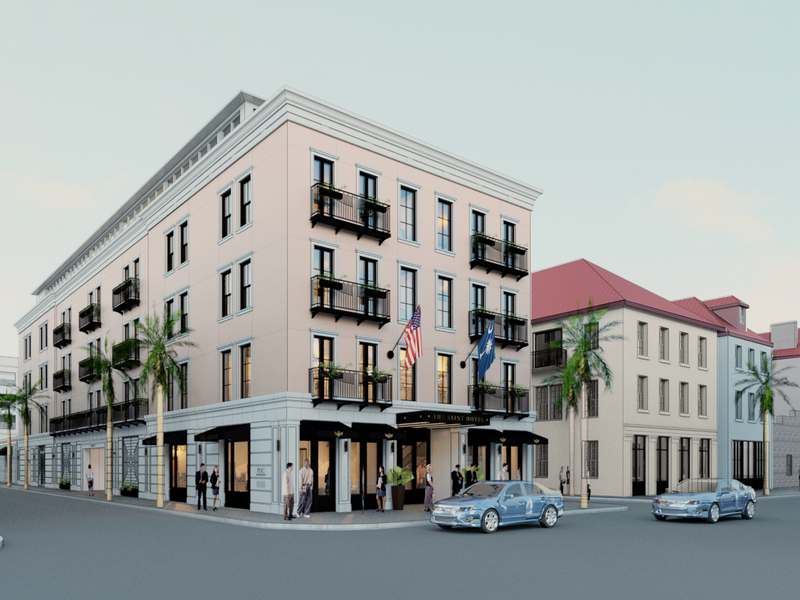 The classic character and scale of the design, which required Board of Architectural Review approval, fits in with the context of the historic buildings along East Bay Street. 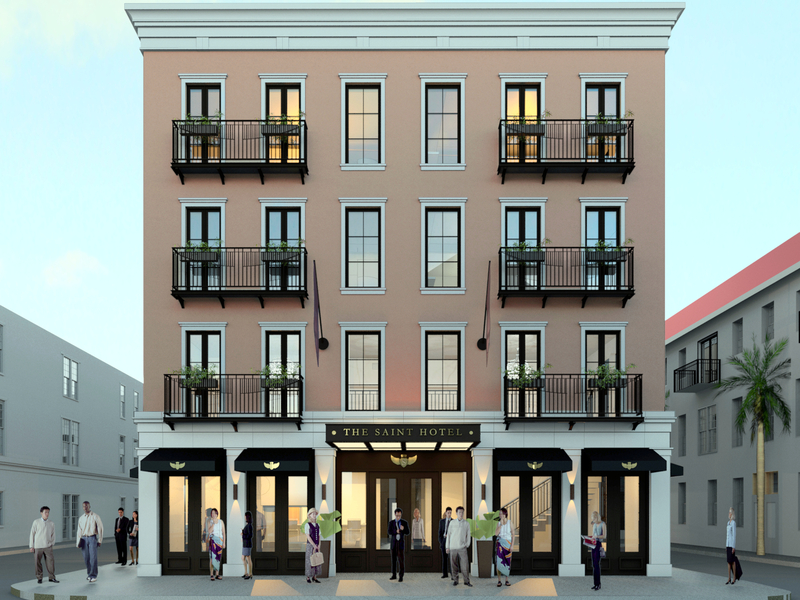 The project is a 50 room boutique hotel and includes an existing historic house. This is the redevelopment of a property in downtown Clemson, SC of approximately .25 acres fronting on College Avenue with access also off of Sloan Street. A 52 room boutique hotel adjacent to the City Waterfront Park with parking and adjacent retail shops. This 45 room boutique hotel is on East Bay Street in downtown Charleston.